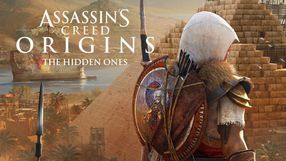 A standalone production based on an educational mode for the Assassin's Creed Origins game. 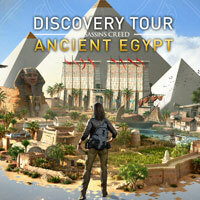 The developers of Discovery Tour by Assassin’s Creed: Ancient Egypt allow the players to embark on a virtual journey to the ancient empire of the pharaohs, and discover various curiosities about the everyday life of its inhabitants, about its monumental structures, renowned historical figures and the mysterious mummification process. 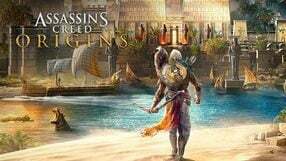 A turn-based strategy game developed by independent studio Clarus Victoria. 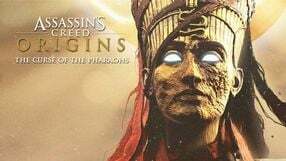 The title takes place in the ancient Egypt. The player controls one of the tribes that live there and is tasked with securing its growth. The general goal is to transform the tribe into the ancient empire known from the history books. 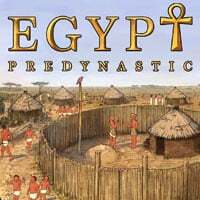 Predynastic Egypt is a turn-based game, in which the action takes place on a two-dimensional map. The map was reconstructed based on archeological discoveries, historic writings and climate changes that happened between 5000 BC and 3000 BC. The objective during the game is to expand into new territories, gather resources, produce food, develop new technologies and create possibly largest and most advanced army that could face the greatest opponents. What makes things complicated is the fact that player’s subjects are frequently forced to face natural disasters and epidemics. Religion can impact their lives as well. The title features simple, clean graphics and a catchy soundtrack. 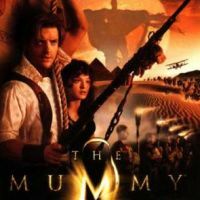 Take on the role of the characters in The Mummy, and on your own monitor take on a mystical Egyptian story, fight dangerous enemies, and finally defeat Imhotep himself. 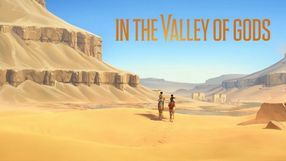 In the Valley of Gods is an adventure game, in which the players assume the role of a female adventure seeker who joins her forces with her old female partner. Together they explore the ruins hidden deep in the Egyptian deserts. During the game, the players mostly explore and discover the story. The title also features decisions that impact the plot. 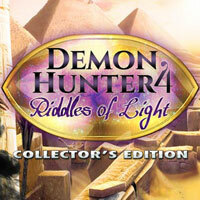 Developed by Brave Giant from Serbia, the fourth installment of the adventure game series with hidden items. This time, the player assumes the role of Lila, the niece of the popular Dawn Ashmoore, who is abducted by Seth. The heroine needs to find her aunt before she gets killed by the ancient deity trying to destroy humanity. Traps n' Gemstones is a two-dimensional platformer developed by Donut Games studio in which we play the role of an adventurer exploring an Egyptian tomb. The game belongs to the category of metroidvania, which means an open structure of levels and a system of learning new skills, which we then use to reach previously inaccessible places. The Pyraplex is a mobile economic strategy in which we build a pyramid, which is a centre of culture and commerce. We need to develop the construction, take care of the needs of guests and carefully balance the income from investments.